Why I disabled the water tap at our Amsterdam office for 2 weeks. In 20 years, kids will learn how to raise a pet and a digital assistant. They won’t understand the necessity for a light switch and why their parents are still so nostalgic about them. They will live in a world where machine learning is omnipresent and play with it to discover new unexpected ‘functional’ features. Just how, as a kid, you discovered that a chair is a perfect pillar for your badass shelter. Kids having a (playful) conversation with the lights is the new normal, no longer a ‘smart’ feature. Their world will be filled with products that have been around for many years but now include some form of intelligence. I call those smarter dumb products. Internet of Things — Add connectivity and make your product smart! We all know products that have become too complicated, too smart for their own good. For a long time, I’ve been wondering how those products made it to production. Now I realize that their added smart features do serve a certain benefit, they honestly try to solve a problem someone, somewhere experiences. But technology hasn’t progressed far enough yet that those features and technologies work flawlessly by themselves, which means they need a backup. This can come from good design or, less preferable, an extensive manual. The manual means that the technology requires the user to perform a certain trick. And that is exactly where it goes wrong, they fail in serving the most important technology around: the human being. So we end up with a ‘smart’ product which definitely needs a manual to teach the user certain tricks, when we all know: users don’t read manuals. That’s not the only problem with ‘smart’ products. Quite often some sort of intelligence is added to a product in order to make it smart. Just adding this intelligence isn’t sufficient, proper communication of the logic is needed as well, otherwise, users are unable to understand why a certain function is working one time while it fails the next time. This means we end up with ‘smart’ products containing functionalities we don’t use because we needed to learn stupid tricks and when we do want to use them we don’t understand them because there is no visible logic. How can we design smarter products that serve humans? 1. Enable people to update their mental models. As a kid, you’ve played with products and discovered that a chair has many use cases. This play creates a mental model of a product. A mental model makes the product predictable, providing a sense of being in control. In order for humans to create a mental model they need to be able to understand cause-effect and feel empowered to explore the functionalities. When adding new functionalities to a product there needs to be a safe environment in which people can play with those functionalities in order for them to update their mental model. Humans move, sometimes in clumsy ways, often in pure harmony with the products they use. Have a look at the choreography of movements you make when entering the bathroom, a twist of the wrist, turn the body, flip the light switch, pull down and sit down, all in one fluent movement. Try teaching this to a robot. Dumb products are build for our bodies. But more often than not we see smarter products that remove physical interfaces and slap on a simple touch screen. We need to build smarter products in such a way that we can combine digital interfaces with physical interactions. This way we can use our muscle memory to decrease the cognitive load required to perform everyday tasks. A new smarter product is often sold with the perfect ecosystem in mind, but no one has this perfect ecosystem. We simply don’t replace all of our products every two years, luckily. Therefore, a new product has to play nicely with the older products it is surrounded with. The same is true for who is going to use the product, shared products in your household will be used by many types of people. Ranging from your little kid to grandma. Smarter products need to, at least partly, accommodate to the mental models of those wide range of users. 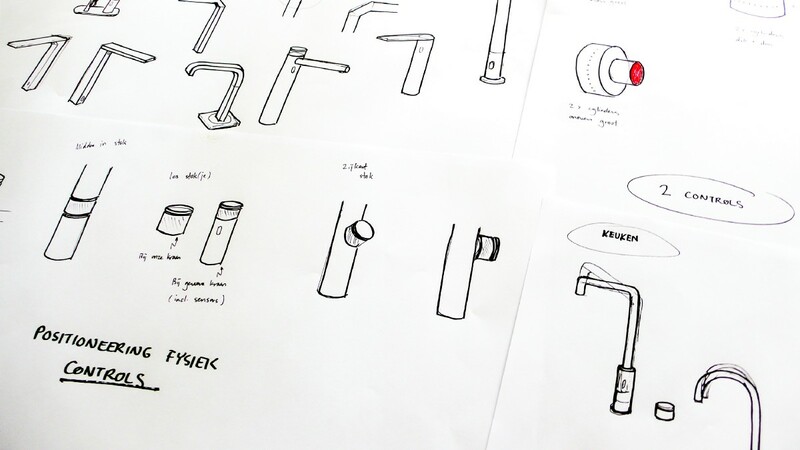 We started hacking the water tap at the top floor, doing some plumbing, adding distance sensors, a microphone, a camera and a computer — essentially doing what we’re best at; building products where the digital and physical are beautifully merged together. In this case, we used a tiny camera connected to a computer. The incoming data is processed using our trained models. Based on that, the water flow, water limit, and temperature are adjusted. The decisions made by the system are communicated to the user using the dial. Providing so called feedforward, a way to communicate information to the user before the action is started. This dial shows how much water will be coming out, what the water temperature is and if the system was able to understand your voice command. At the same time, this dial is your manual override. Turning the top dial changes the temperature, turning the bottom dial adjusts the flow of water. What would a cat do? Our water tap is able to recognize hands, cups, and pans. It sees the difference between my hands and that of my colleague. But if a cat nestles itself in the sink, the tap will draw a blank because we didn’t take this scenario into account while designing the tap. This made me realize one of the most important aspects of our water tap and designing products with some sort of embedded intelligence in general. And that is a good thing. Because almost all products fail when they are used in ways they are not intended for. 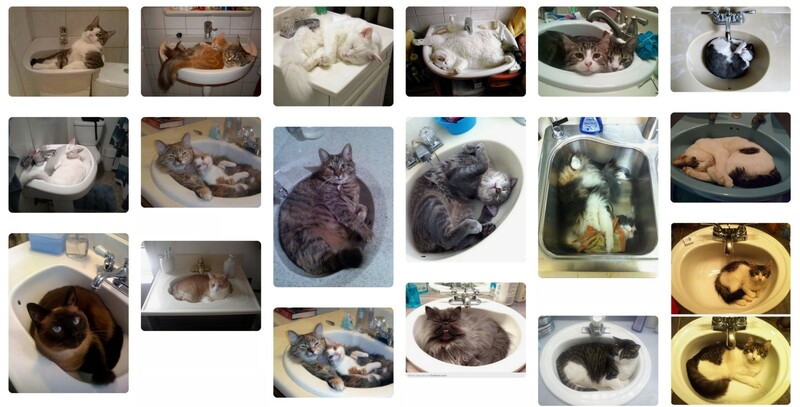 People don’t blame a bike for being a bad chair, why blame a sink for being a bad cat bed? But failure can be very discomforting if the user is unable to grasp why it failed. They need to understand how the product works. With smart products, it becomes harder, or almost impossible, to discover how they work because the added intelligence hides some of the information why certain things work and others don’t. Providing no means for users to update their mental models. To improve this we need to design proper (augmented) feedforward and feedback mechanisms, that clarify the intelligence behind the product. We played during the Spring Sprints and discovered how entertaining object recognition is and how handy it is to have your glass automatically filled, we see new possibilities for hygiene improvements in households and as well for hospitals. 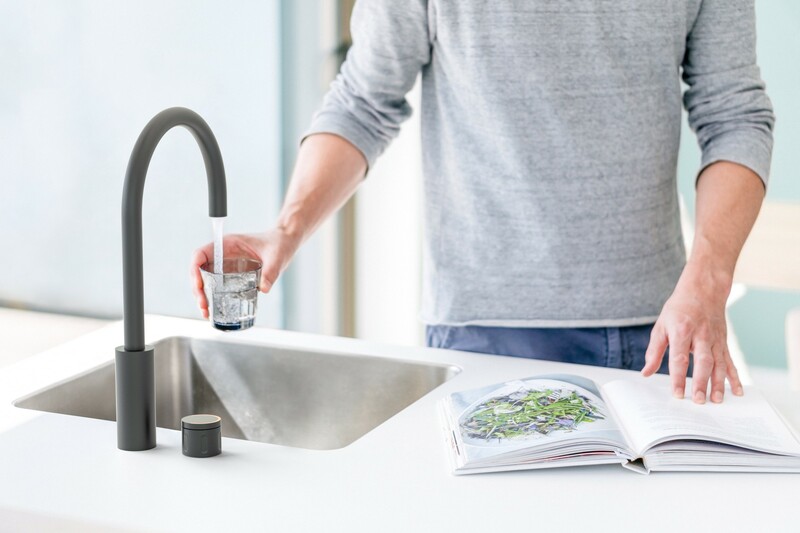 We realized that besides the water tap, there is a whole new range of products ready to be made smarter in combination with the proper feedback and feedforward mechanisms. Doing a product render alone would not have given us these insights and that’s why we invest in our own research & development. Let’s hope that kids in the future are able to play with their smarter dumb products and learn how to ride them best. They will fall from their bike and will get wet when using the new water tap. But when they grow up they’ll learn and understand the limitations and know that a bike can be used as a chair and the water tap can be used as a water cannon. Now it’s up to us, and you, to realize this future. Let’s aim at designing them so well that there is no trick needed to use any of the smart features that were supposed to make a dumber existing product smart. Wouter van der Wal is a Product Designer at Handmade. If you are interested in these thoughts and the impact on your potential business, get in touch. We love to play.